What a wonderful time of year, autumn is here and soon we will be wishing it were summer again. 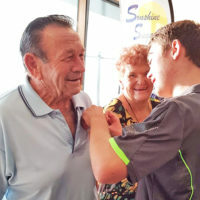 For our special May meeting we are having a one off community event, open to the public to raise funds for our students in the Learning for Life Program, jointly sponsored by The Smith Family and VIEW Clubs Australia. 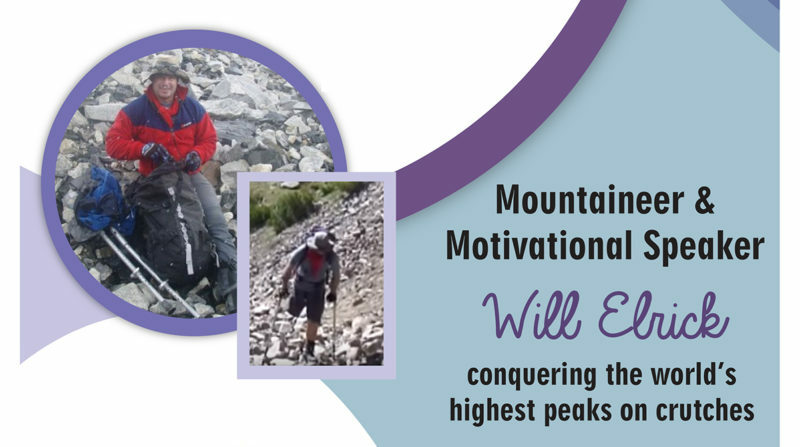 We are thrilled to have Will Elrick, mountaineer and motivational speaker to share his amazing story of courage and perseverance; he has conquered mountain peaks on crutches after losing his leg in an accident… what an inspiration. 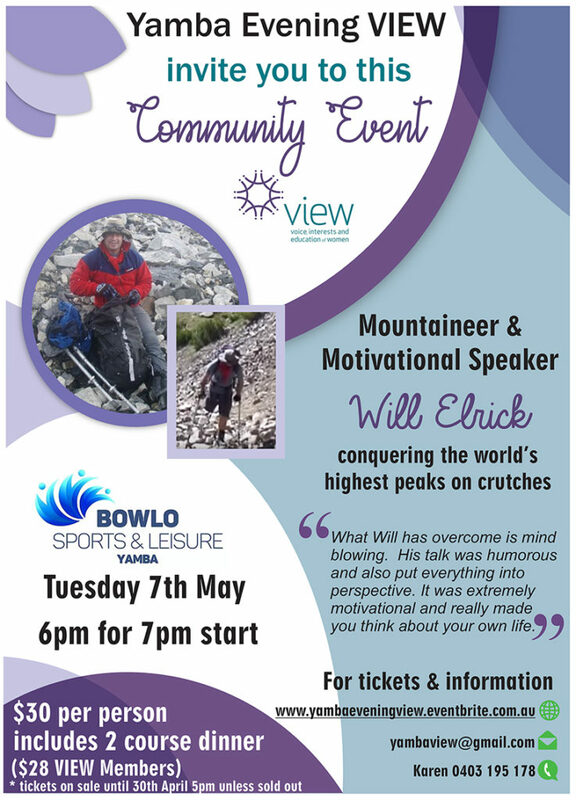 This one off event will be held at Yamba Bowlo Sports and Leisure Club on Tuesday May 7, from 6pm for a 7 pm start. Cost is $30 per person and $28 for VIEW members and includes a two course dinner. Tickets are available at www.yambaeveningview.eventbrite.com.au………….or email yambaview@gmail.com for information. Tickets are on sale until April 30 unless sold out. It will be great night out for the males in our lives and an evening off for the cook, but on a serious note, a helping hand to a disadvantaged child. Everyone should have the opportunity to gain an education and hopefully break the cycle of poverty. Please support us in our endeavour to assist others not as fortunate. We as a single club, we have six students now receiving help with the necessities needed… a truly worthy cause. Our social morning tea has had a re-vamp; the ladies enjoyed a cocktail instead. Of course it was later in the day. As they say, a change is as good as a holiday. The morning was enjoyed by all who attended. 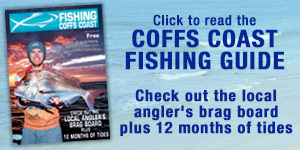 Our June meeting will be held at our usual venue Yamba Shores Tavern, with our normal meeting format. Are you new to town? Why not come along and join a fun loving group of women, a great way to integrate into a new community. Give Genie a call, she can book you in 0415 312 725. Remember; when you can’t find the sunshine be the sunshine.